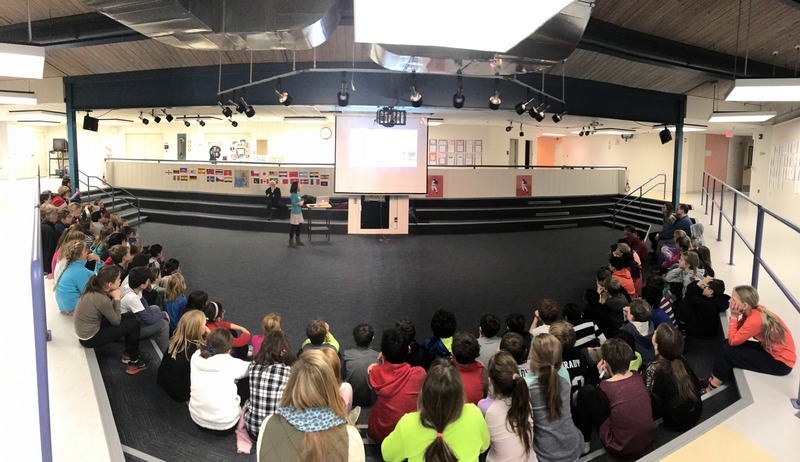 We actively reach out to the broad community to present our research and disseminate research results. 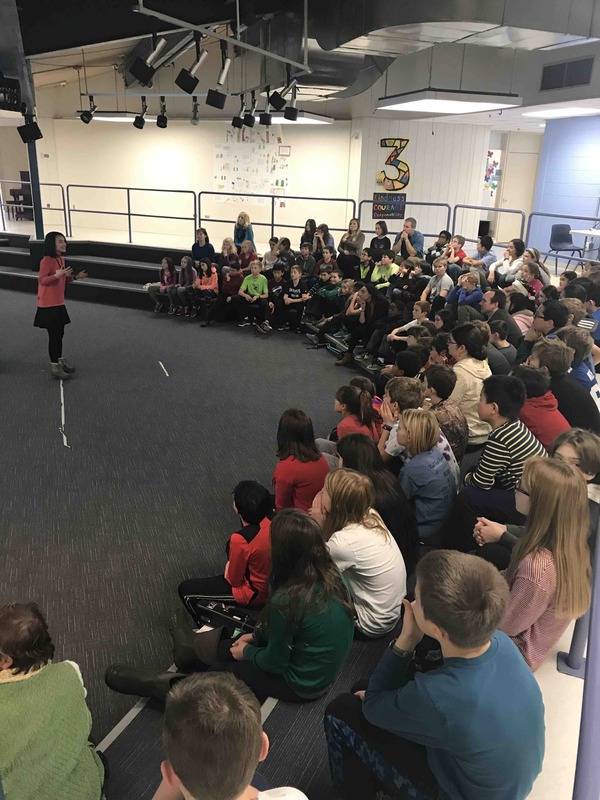 Here are some recent outreach activities. 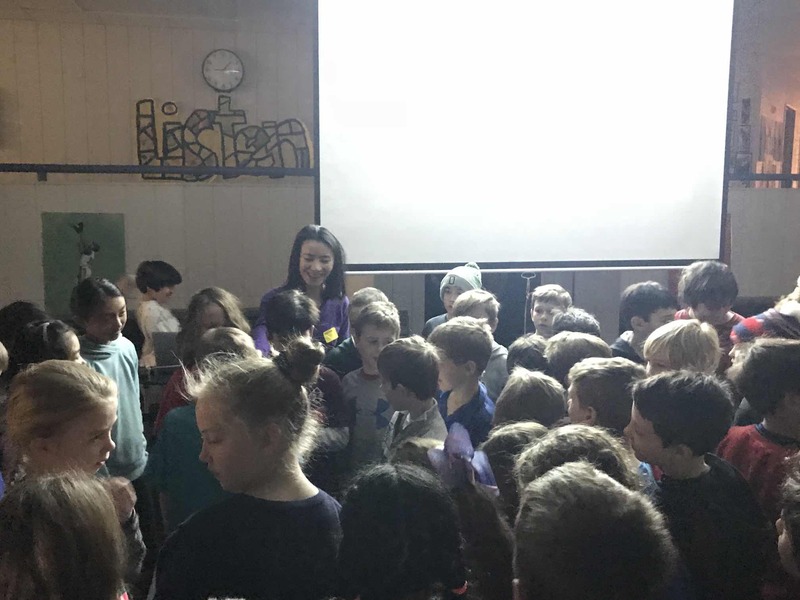 Jan. 2019:Xia in the Hour of Code session (part of the activity in the Computer Science Education Week) organizing 89 Grade-4 students at the local Ray Elementary School to play a flashlight game for the kids to learn light communication. 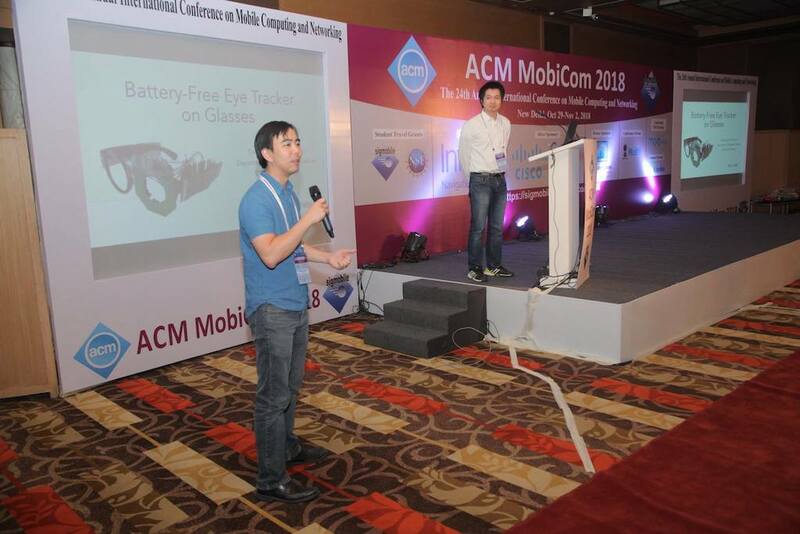 Nov. 2018:At MobiCom'18 in New Delhi, India, Tianxing presenting his eye-tracking work, and Xia giving a topic-preview session on visible light communication. 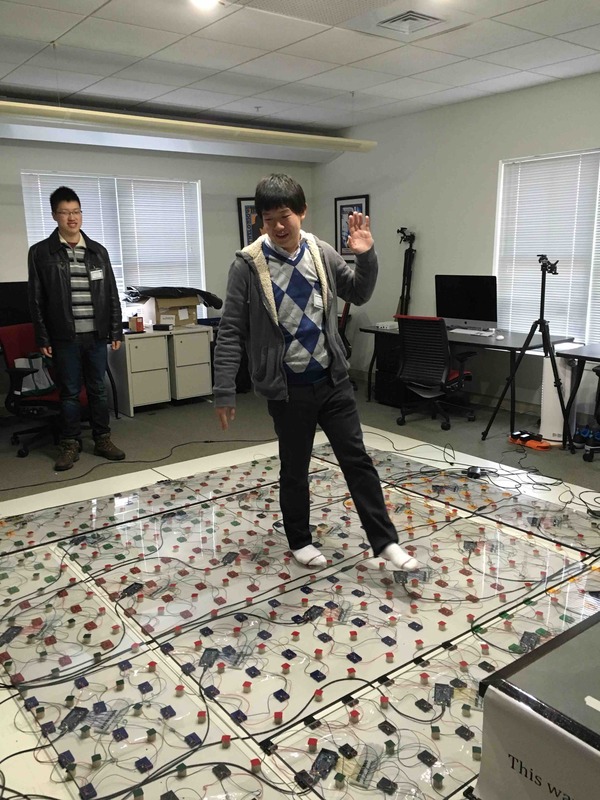 Oct. 2018:Sung Jun Park, supported by the Anna Thompson Burnap Undergraduate Student Research Award, started working on his thesis project related to augmented reality. Jun. 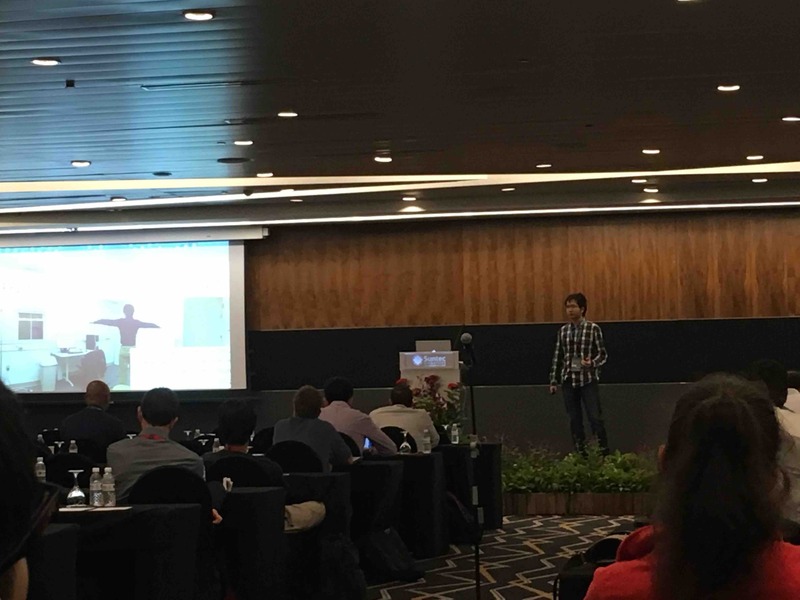 2018:Zhao presenting our work on fusing light and inertial sensors at MobiSys'18. 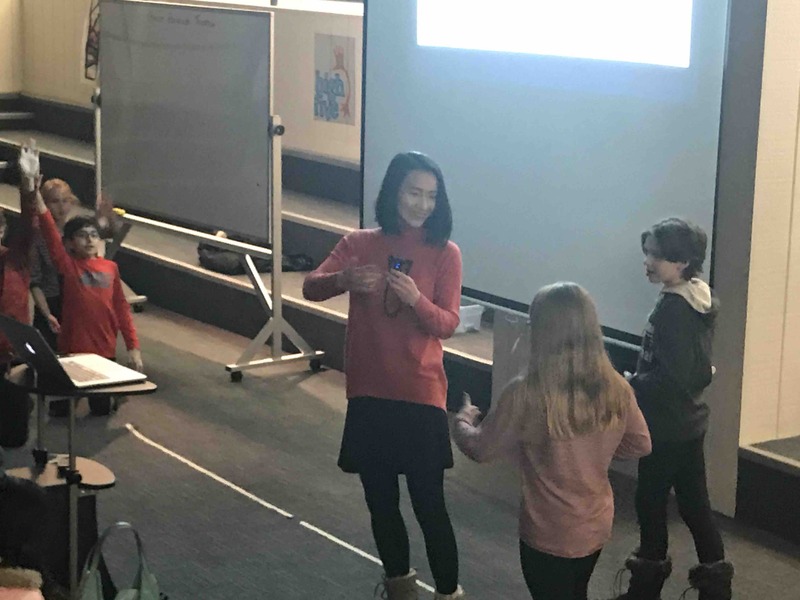 Jan. 2018:Great to have Christina Ru '21 and Shiyao Peng '20, undergraduate interns supported by the Dartmouth Women in Science Project (WISP), joining our research projects for the winter and spring terms! 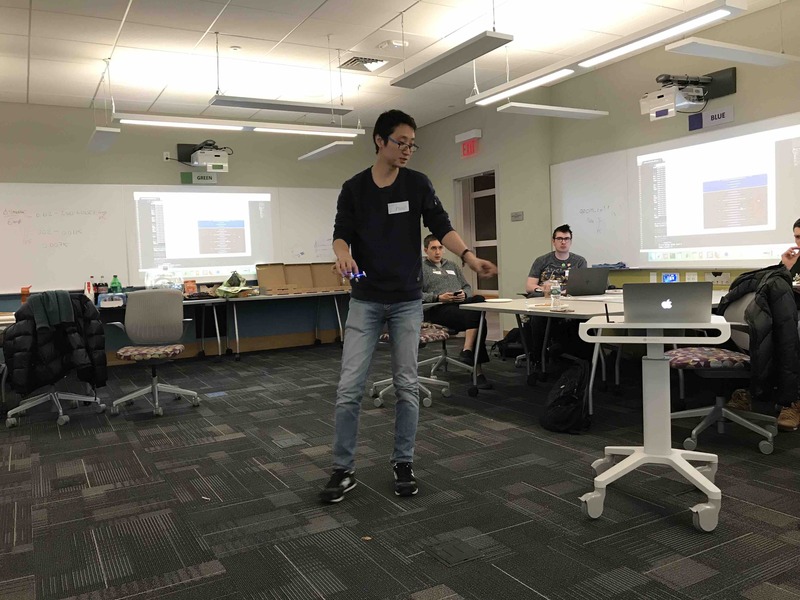 Jan. 2018:Zhao led a Programming N' Pizza event, a crowd-learning initiative led by the Dartmouth Library and Research Computing, as an opportunity for the entire Dartmouth community to share, teach and learn programming skills. 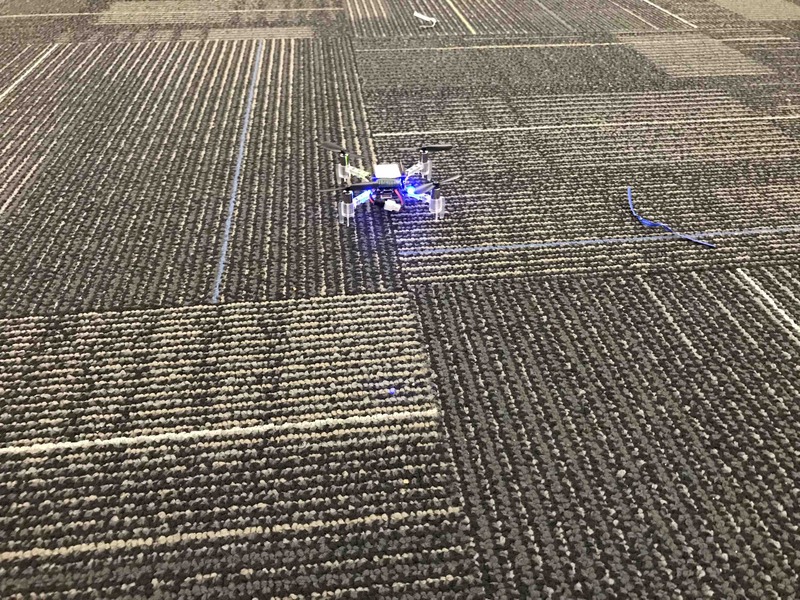 Zhao demonstrated how to program a Crazyflie drone. 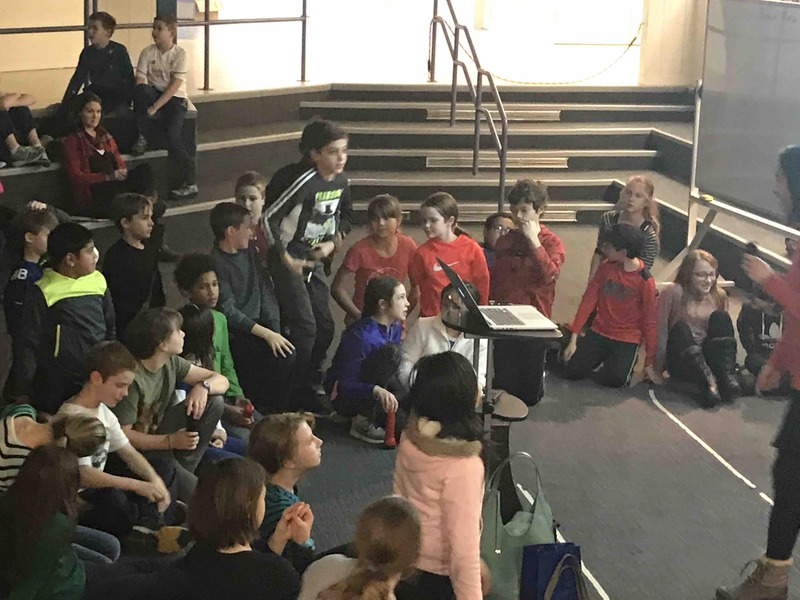 Dec. 2017:Participated in the Hour of Code session (part of the activity in the Computer Science Education Week) to 87 Grade-5 students at the local Ray Elementary School. 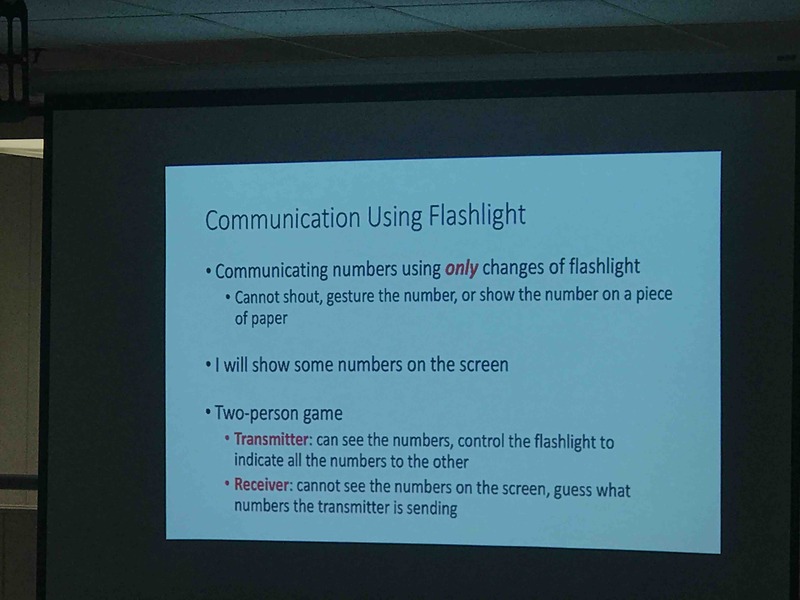 We played a flashlight game for the kids to learn light communication. It was fun! 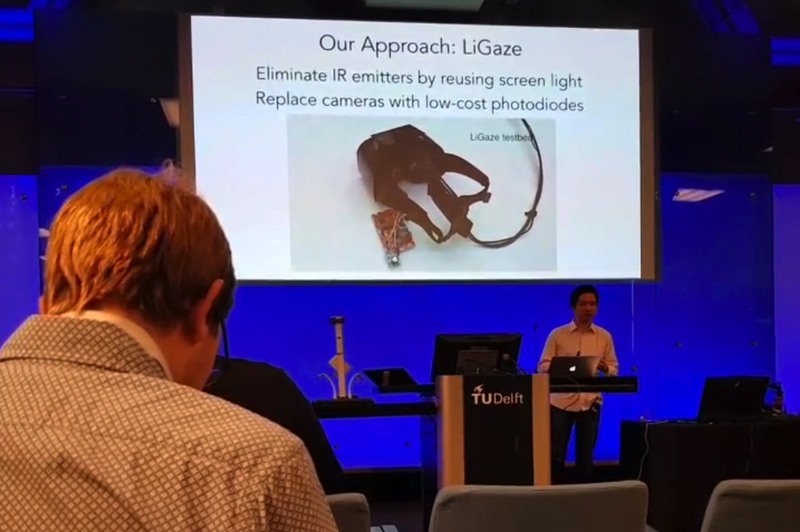 Nov. 2017:Tianxing and Xi have presented LiGaze and WiPrint in SenSys'17 and BuildSys'17 in Netherlands. 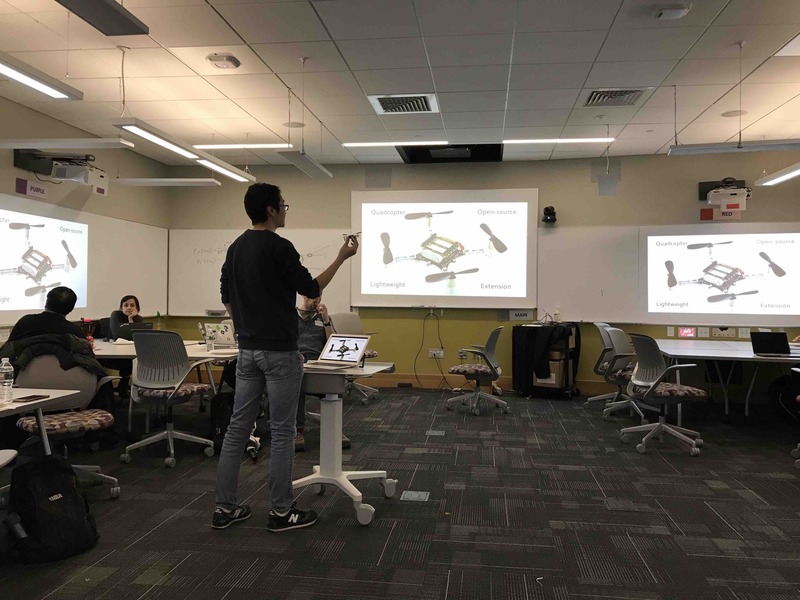 Oct. 2017:Xia gave a guest lecture on visible light communication and sensing in the computer networks course in MIT. 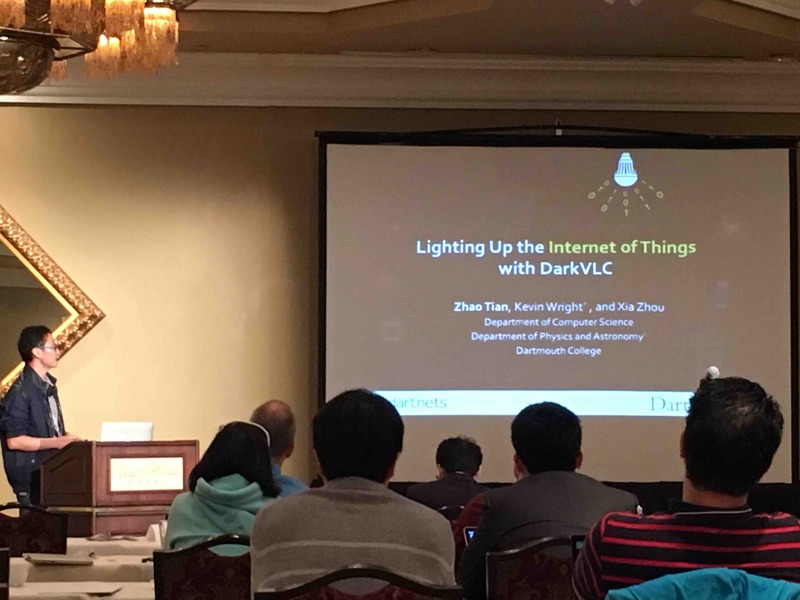 Oct. 2017:Zhao and Tianxing presented and demonstrated our recent projects at VLCS'17 workshop and the demo session at MobiCom'17 conference. 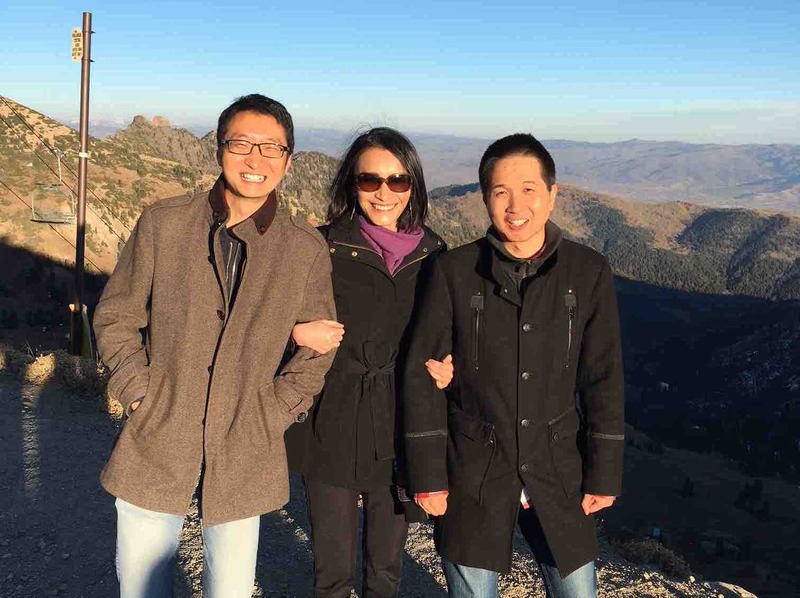 The last photo was taken at an elevation of above 11,000 feet! Sept. 2017:Dartmouth crowd at UbiComp'17! 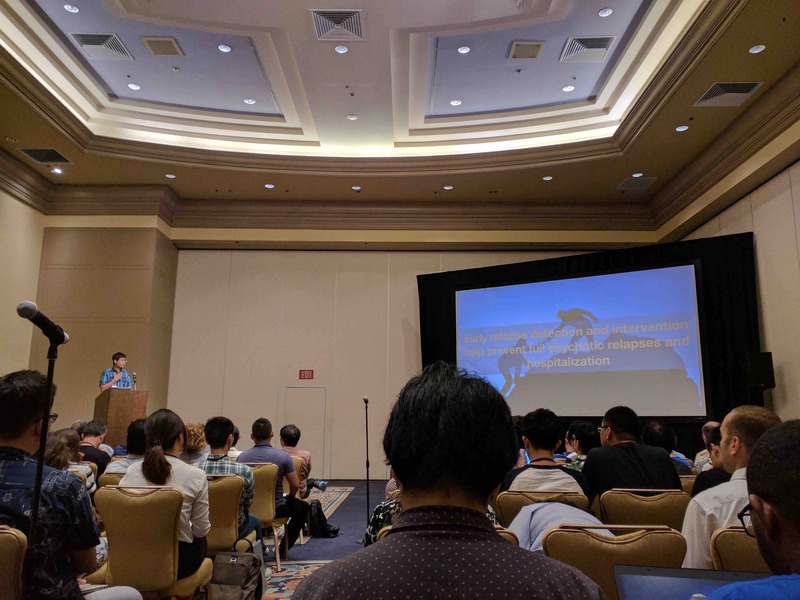 Sept. 2017:Rui and Tianxing presented our projects at UbiComp'17. 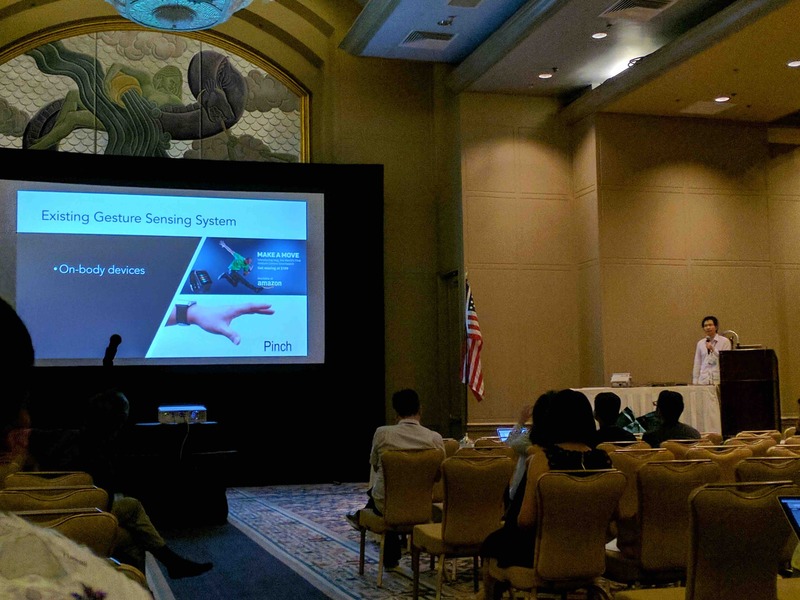 June 2017:Xia gave an invited talk on visible light sensing at the 4th Workshop on Physical Analytics, collocated with MobiSys'17. 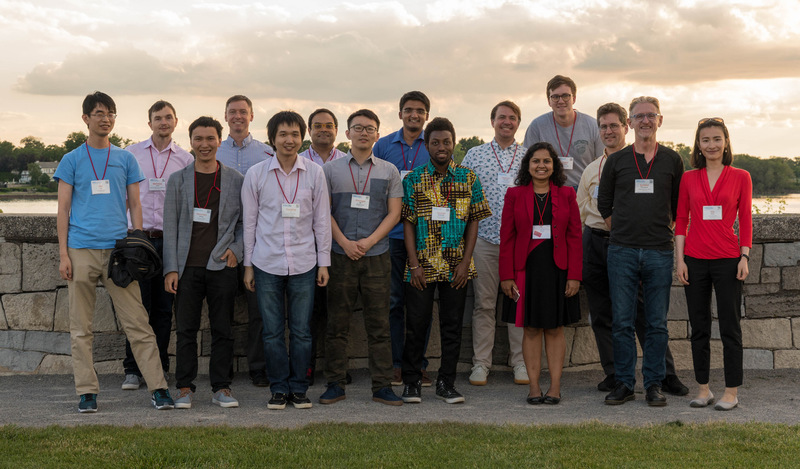 June 2017:Dartmouth CS at MobiSys'17. June 2017:We are excited to have Emmanuel Akosah '19, an undergraduate student supported by Kaminsky Undergraduate Research Award to participate in our research projects. 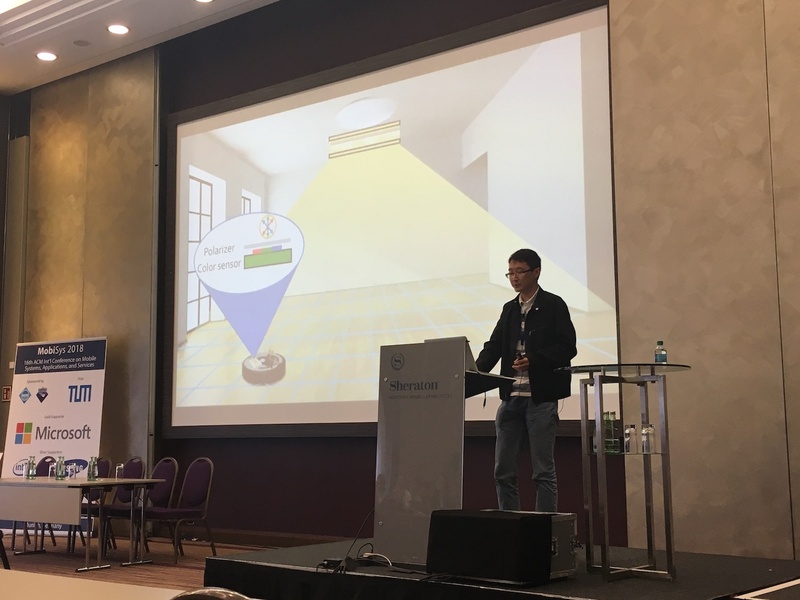 June 2017:Tianxing has given an invited talk on visible light sensing on the workshop on Smart and Connected Indoor Environment in SECON 2017. 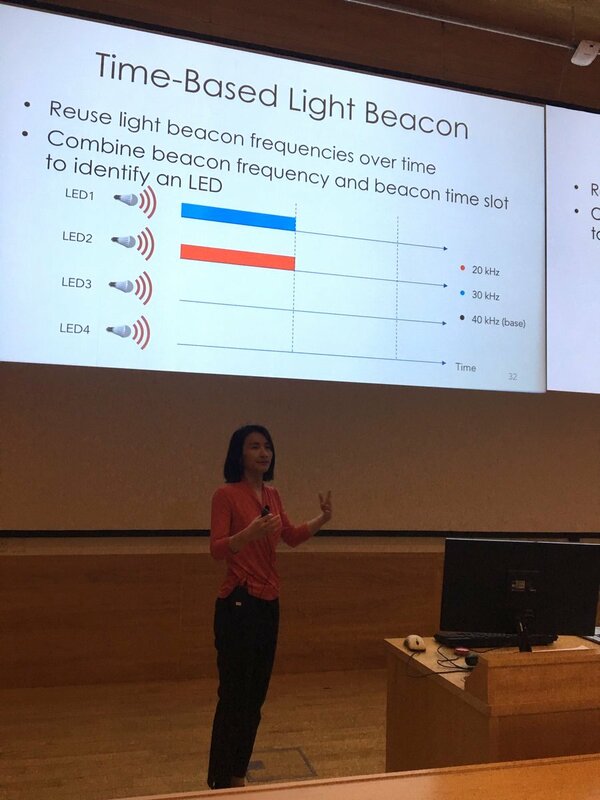 May - June 2017:Seminar talks on visible light sensing at University of Cambridge, University of Edinburgh, Queen Mary University of London, University of College London, and Microsoft Research Cambridge. 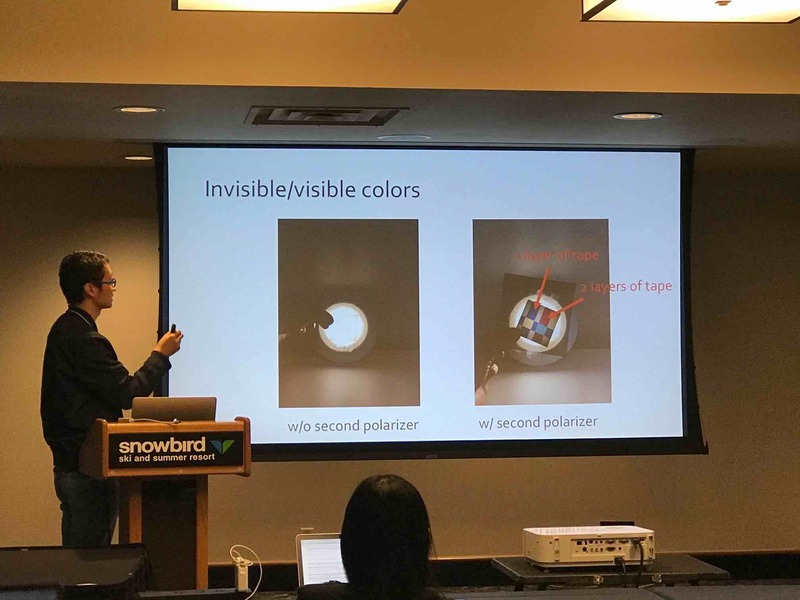 Feb. 2017:Keynote on visible light sensing at the MadCom workshop of the EWSN'17 conference. 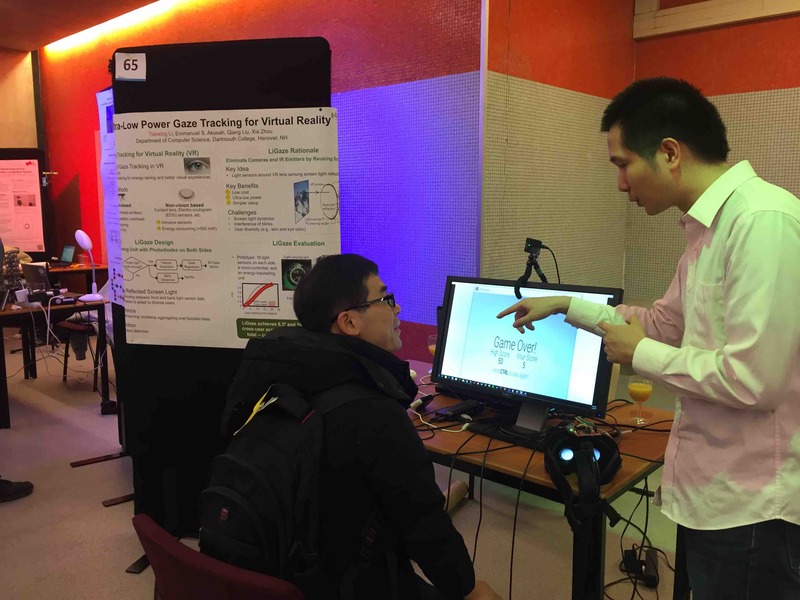 Jan. 2017:CS seminar talks on visible light sensing at National Taiwan University and National Chiao Tung University. 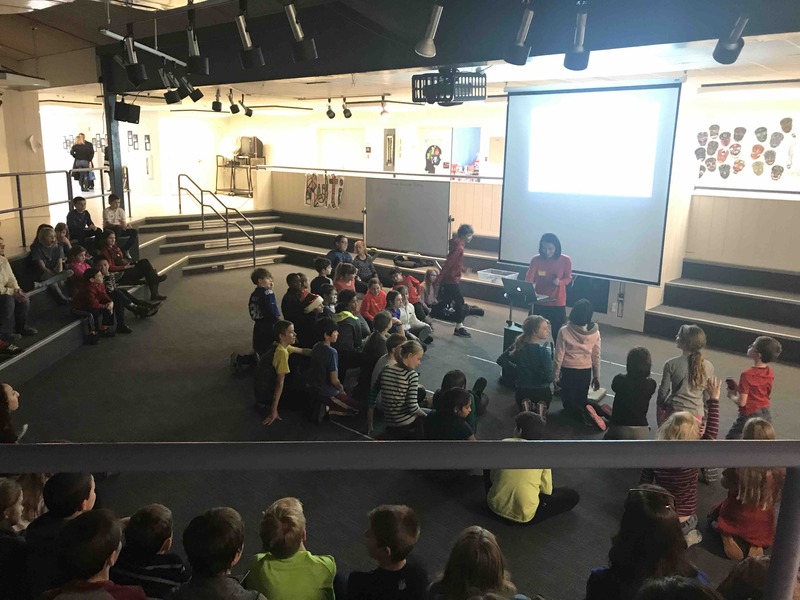 Dec. 2016:Presented in the Hour of Code session (part of the activity in the Computer Science Education Week) to 40 - 50 Grade-5 students at the local Ray Elementary School. 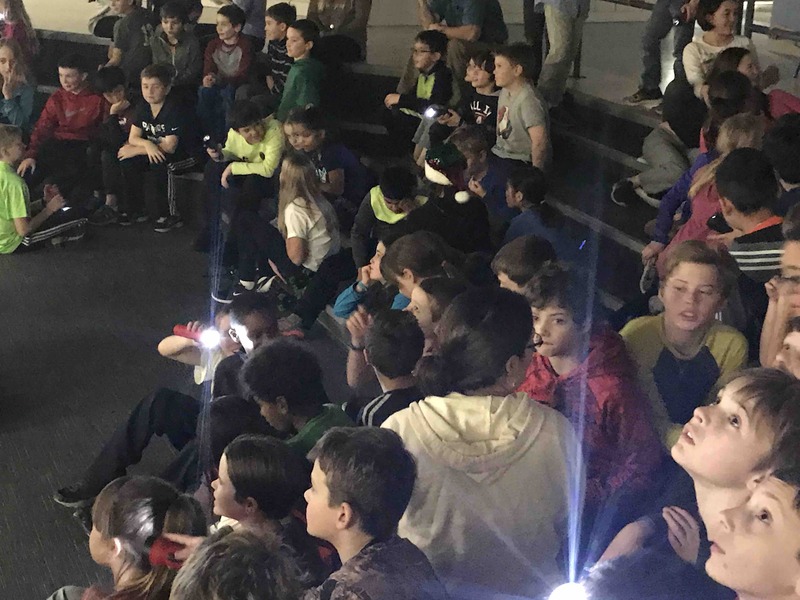 Kids were excited to learn more about light! 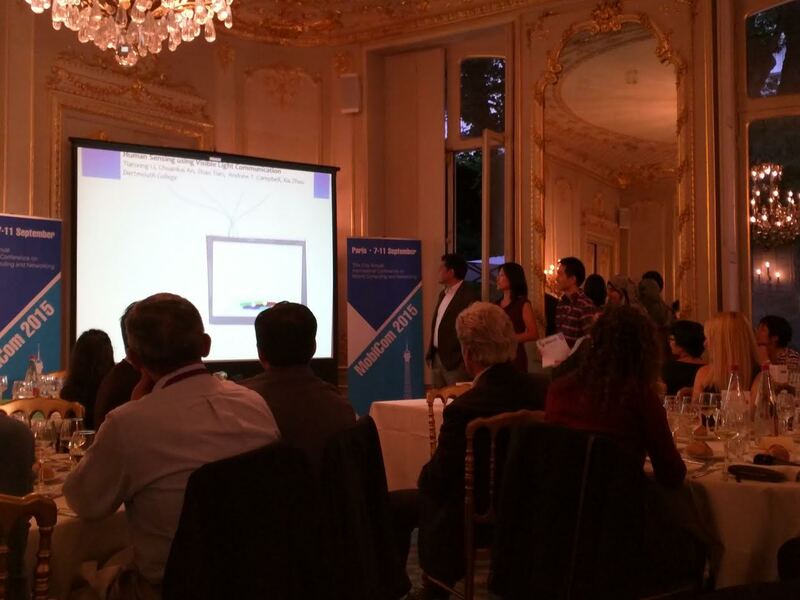 Our colleague Dan wrote a nice article on Huffington about our event. 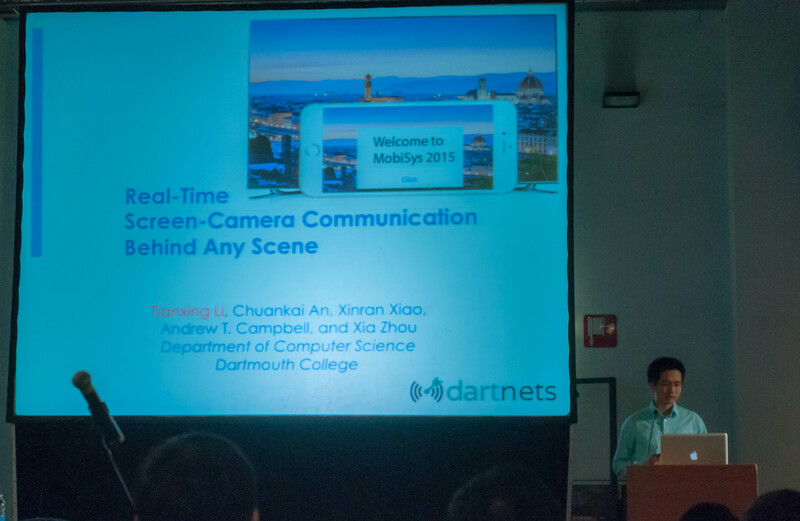 Oct. 2016:Xi presenting DroneSense in the WiNTECH workshop, and Zhao presenting and demonstrating DarkLight to MobiCom attendees. 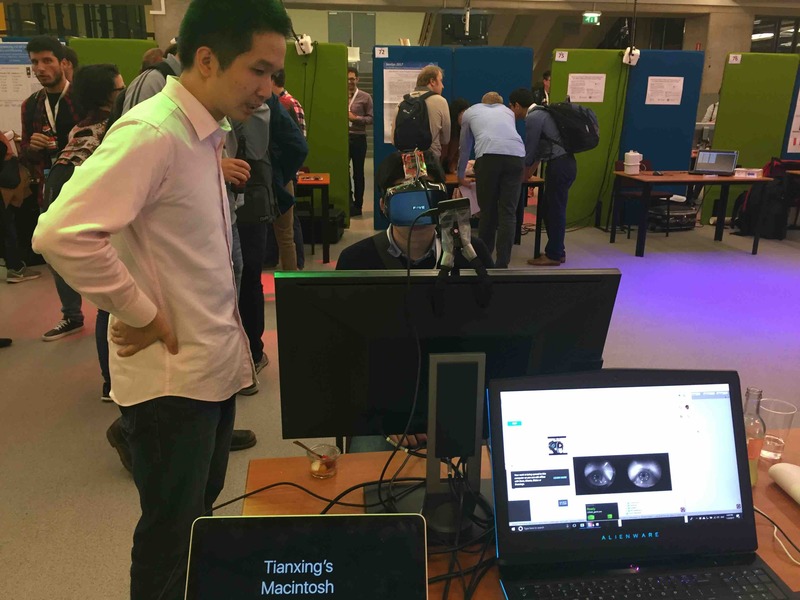 Sept. 2016:Enjoyed working as one of the judges for the third HackDarmouth event and learning about the interesting projects from our undergraduates! 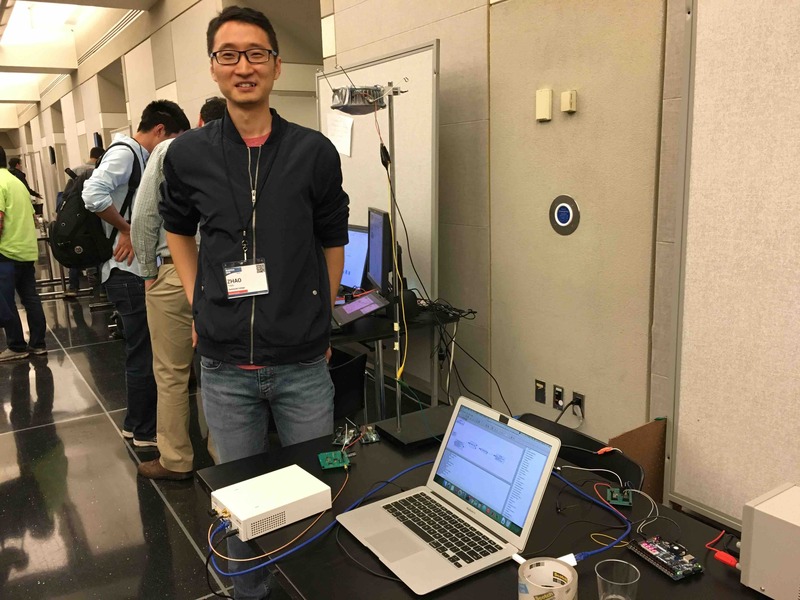 Sept. 2016:Excited to have George Hito '18, a junior supported by the Dartmouth Junior Research Fellowship, joining our visible light sensing project for the upcoming calendar year! 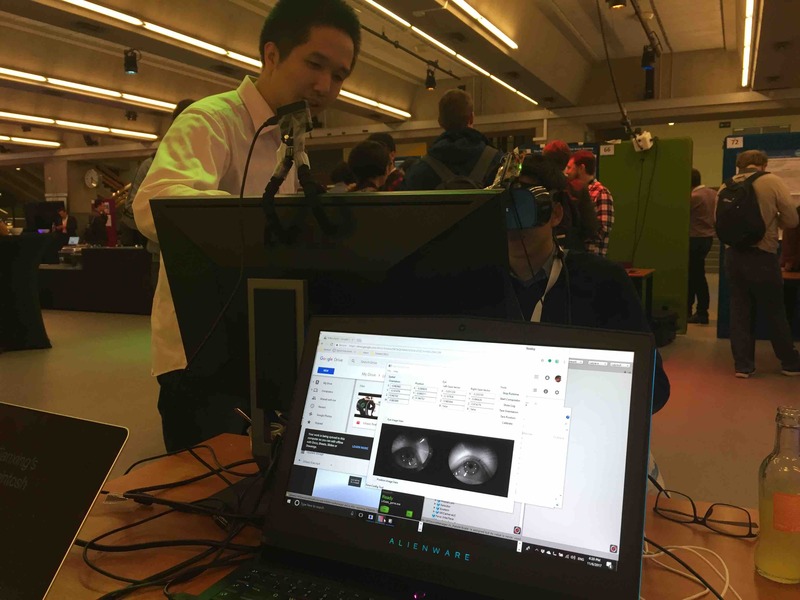 Sept. 6th, 2016:Joined Prof. Thomas Cormen to represent the CS department on the Information Expo for entering first-year students. 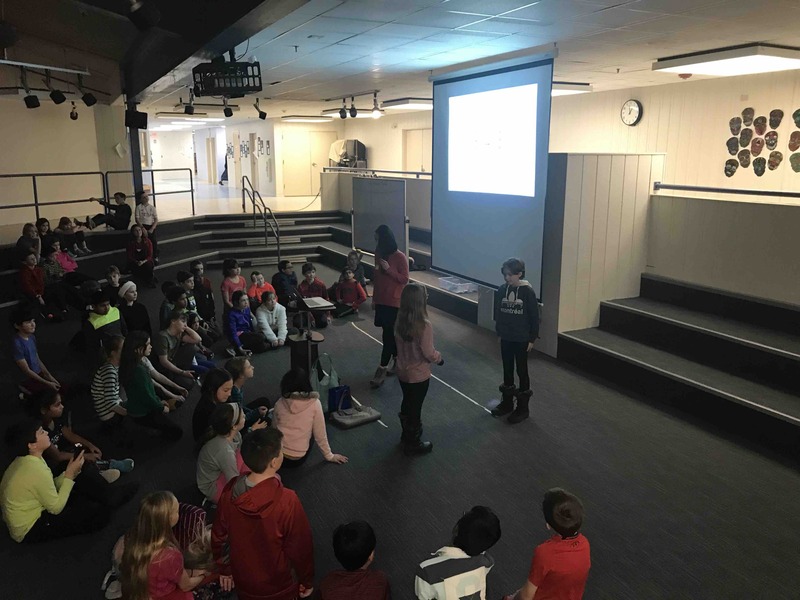 Talked to freshman about computer science and interesting projects we are working on! Jun. 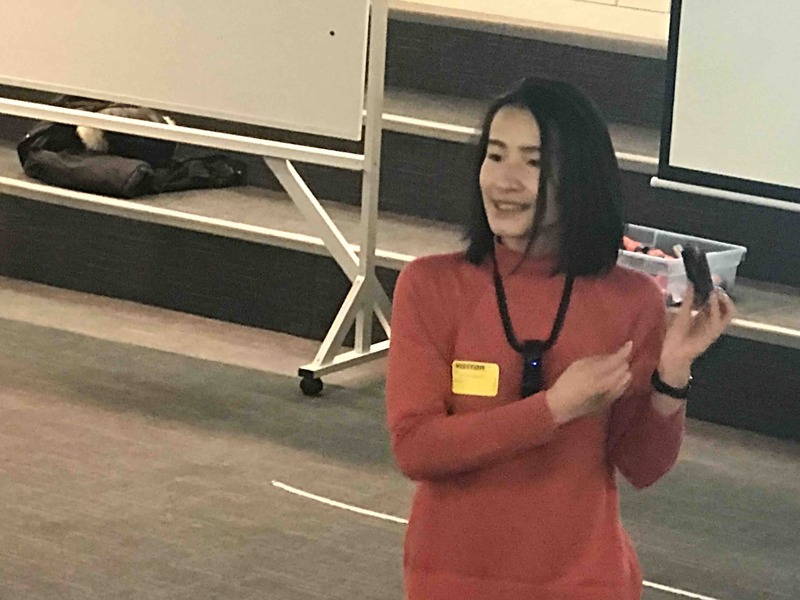 2016:Xia joined a panel offering career advice at the 1st MobiSys Women’s Workshop. 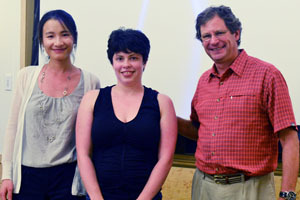 Met many promising young women researchers/students! Jun. 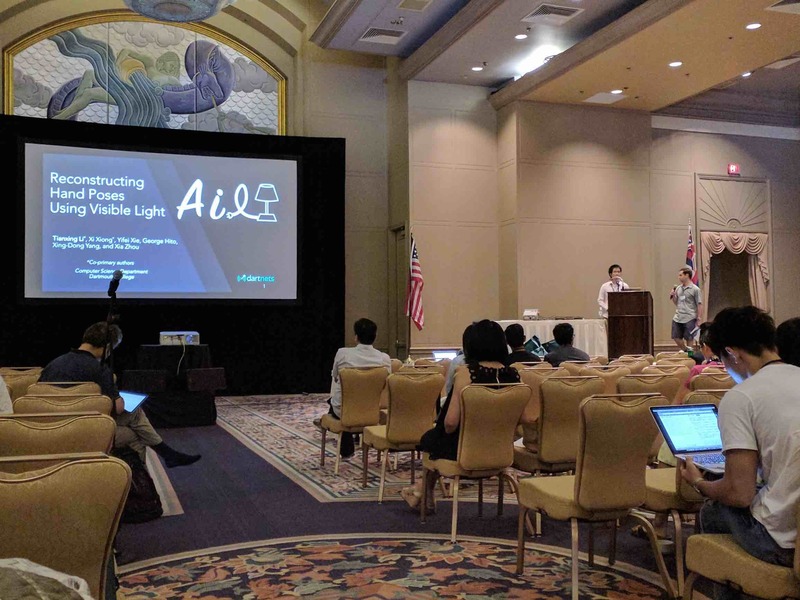 2016:Tianxing presenting StarLight to MobiSys attendees. Jun. 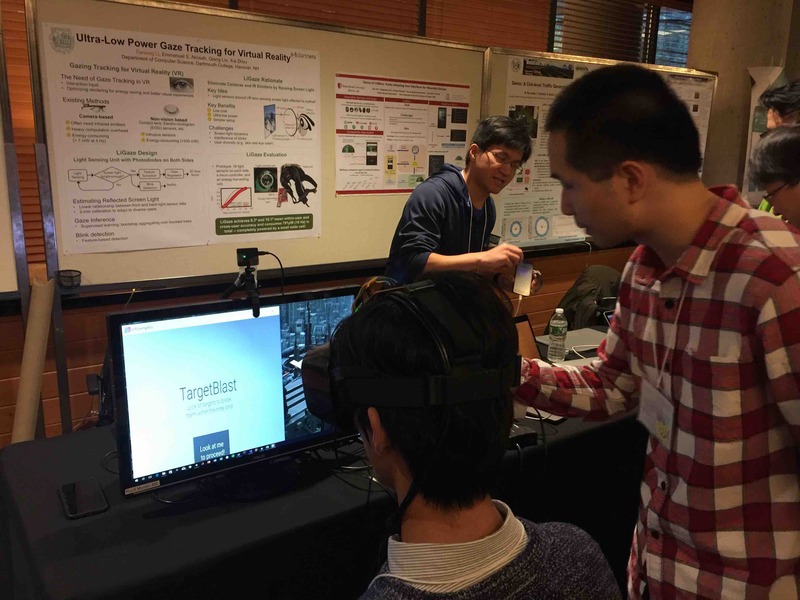 2016:Xia gave a seminar on the visible light sensing in the Lighting Enabled Systems and Application (LESA) Research Center in Rensselaer Polytechnic Institute, Troy, New York. Apr. 19th, 2016:Joined another dinner meeting with the Women in Computer Science (WiCS), with a group of 10 - 20 women undergraduates chatting about computer science research and academic life. Apr. 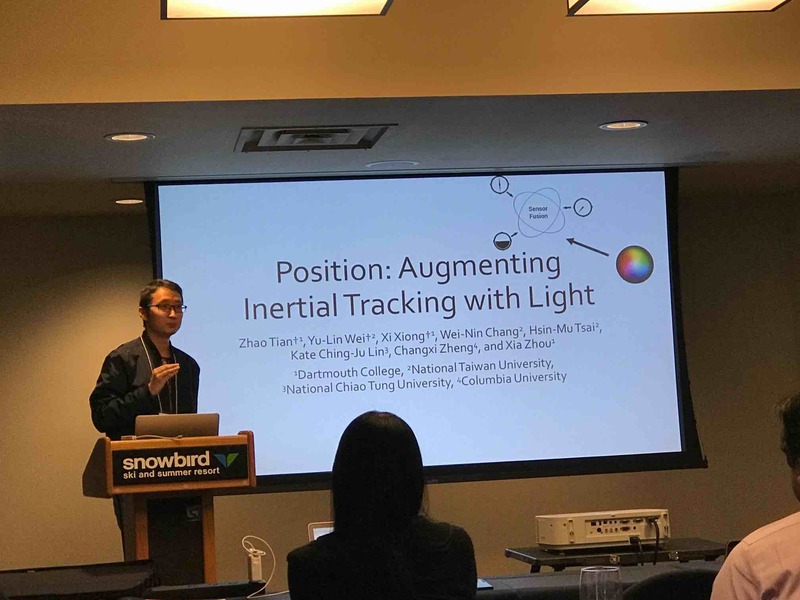 2016:Welcome to Yifei Xie '16, an undergraduate Neukom Scholar supported by the Neukom Institute Scholars Program, joining our project on visible light sensing for the spring term! 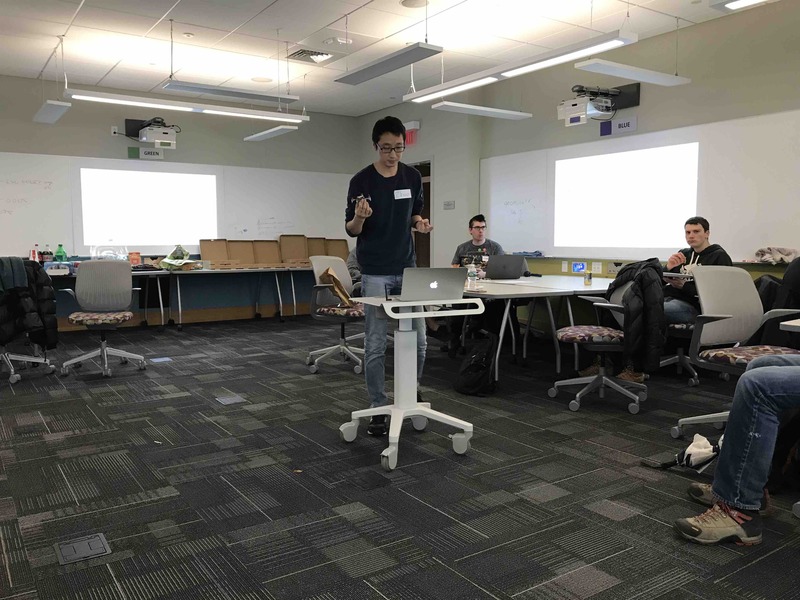 Feb. 2016:Zhao presenting and demonstrating the initial prototype of DarkLight to HotMobile attendees. 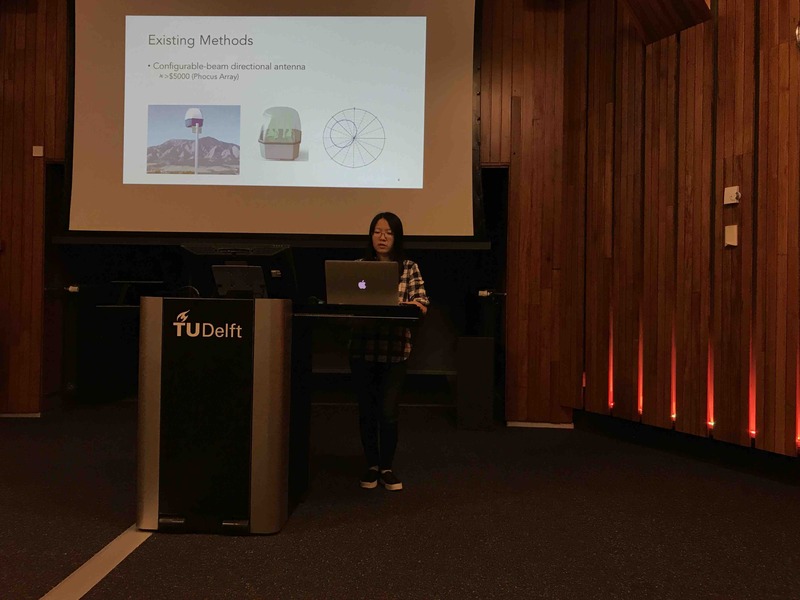 Jan. 2016:Great to have Yichen Ke '19, an undergraduate intern supported by the Dartmouth Women in Science Project (WISP), joining our visible light sensing project for the upcoming winter and spring! 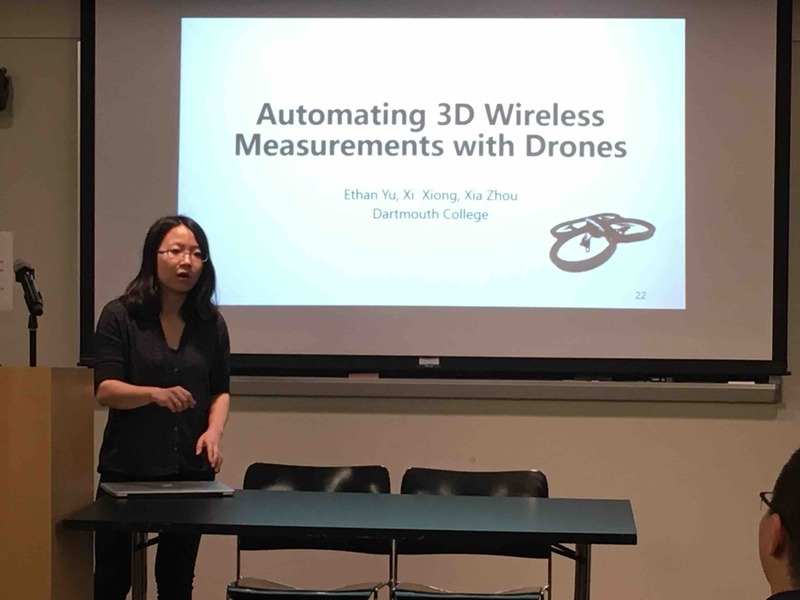 Oct. 28th, 2015:Xia gave a seminar on the visible light sensing to undergraduate students at Mount Holyoke College. 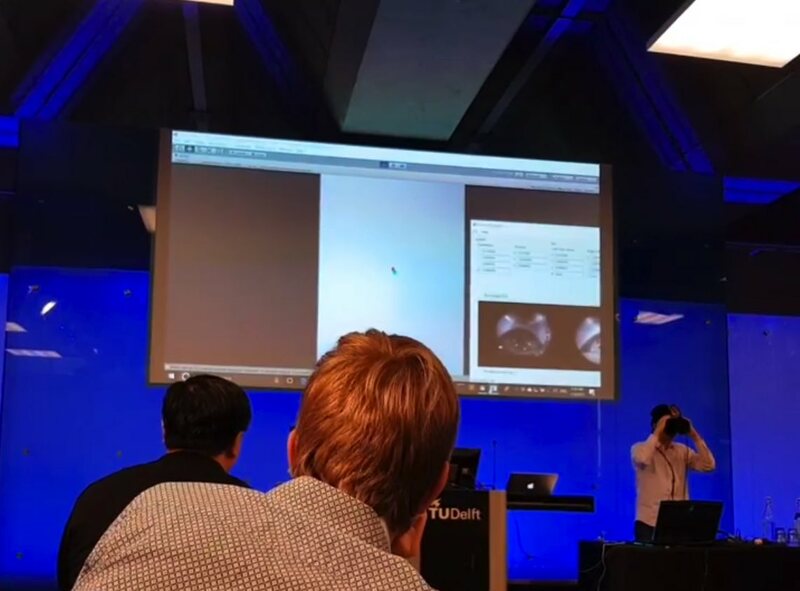 Oct. 2015:We did live demo of LiSense to the undergraduates from neighboring colleges in the workshop on Exploring Graduate Study in Computer Science. 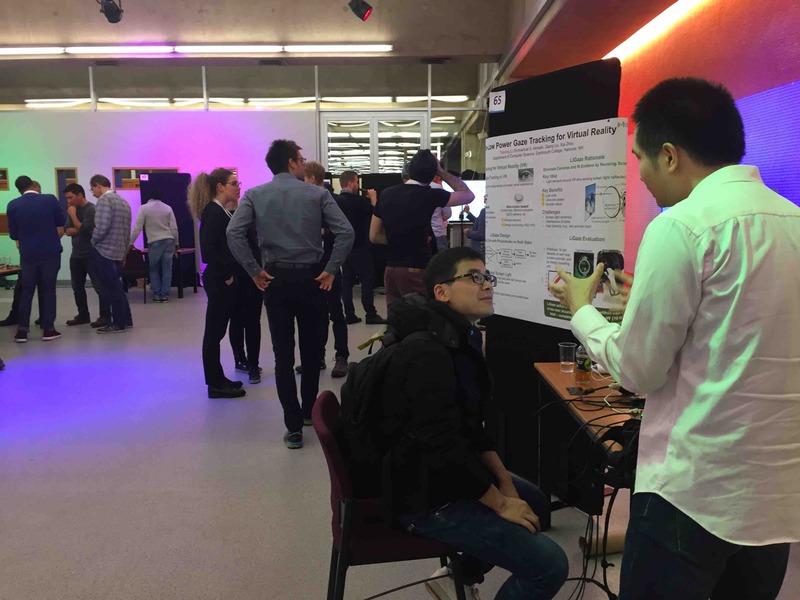 Here are photos showing a few undergraduates testing out our LiSense testbed. 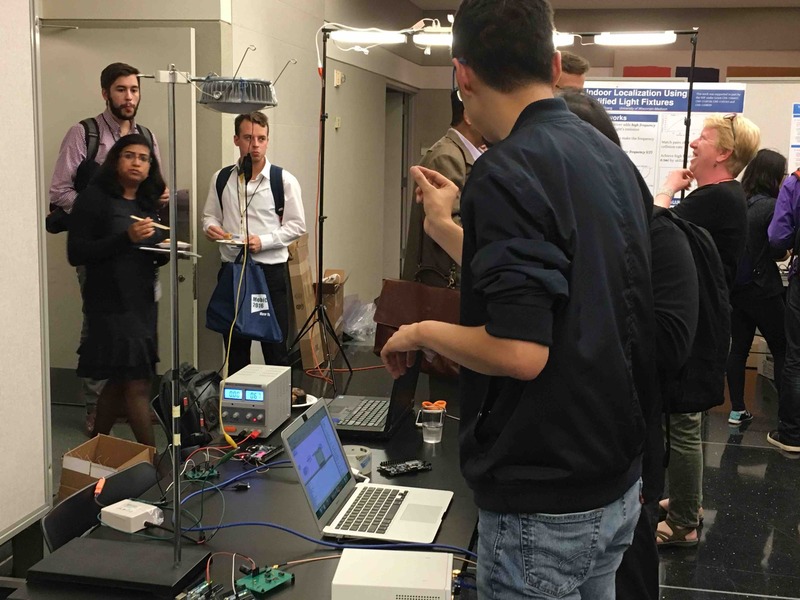 Oct. 19th, 2015:We presented the latest research on visible light communication and sensing in the 2nd Annual New England Network and Systems Day. Great meeting with students, faculty, and researchers from universities and research labs in the northeast region. Oct. 2015:Enjoyed working as one of the judges for the second HackDarmouth event! 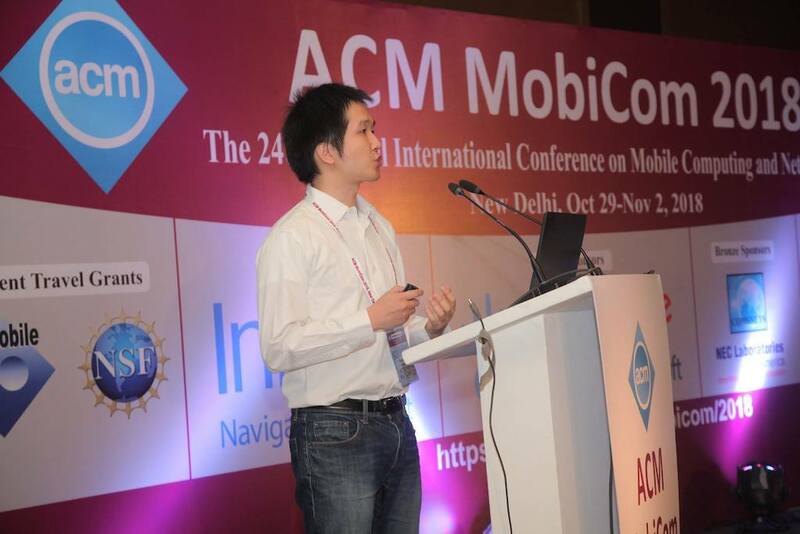 Sept. 2015:Tianxing presented LiSense on MobiCom'15. We won the best video award! Jul. 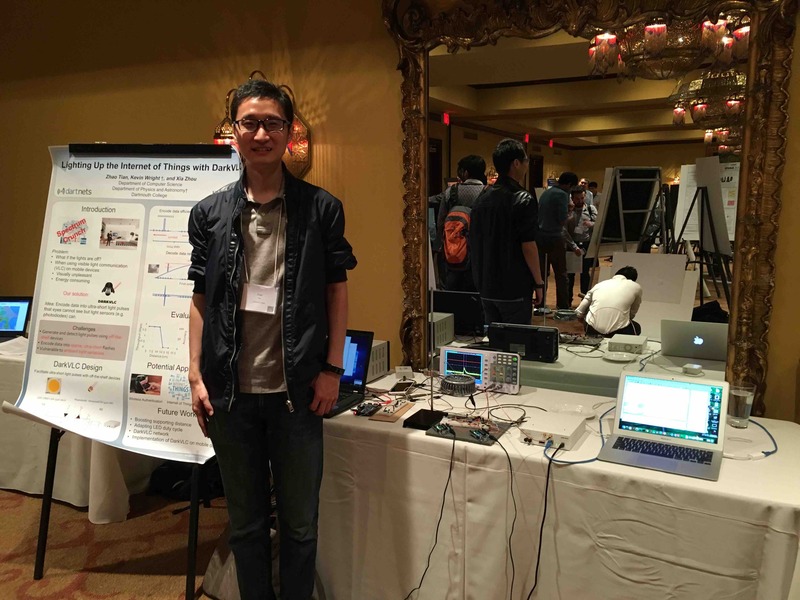 2015:Xia presented the visible light sensing work in the NSF NeTS Early Career Workshop. 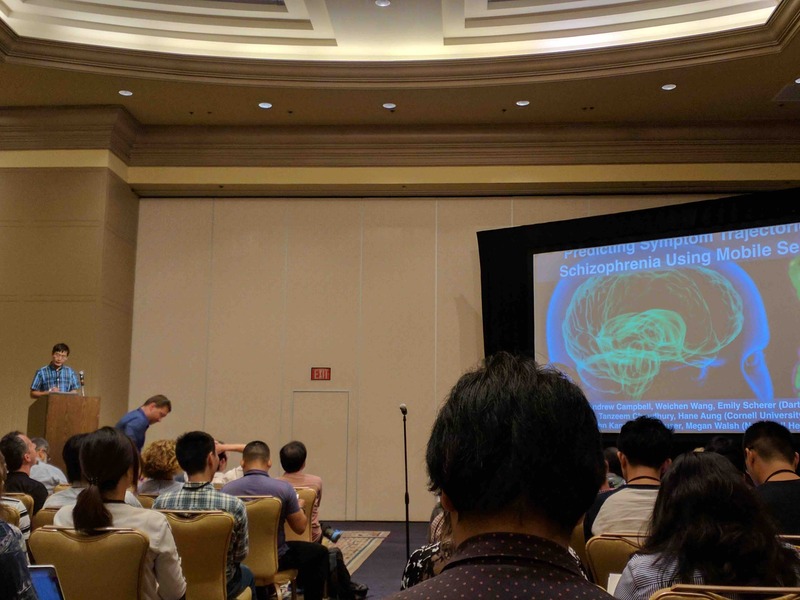 Had great discussions with other early-career researchers! Jun. 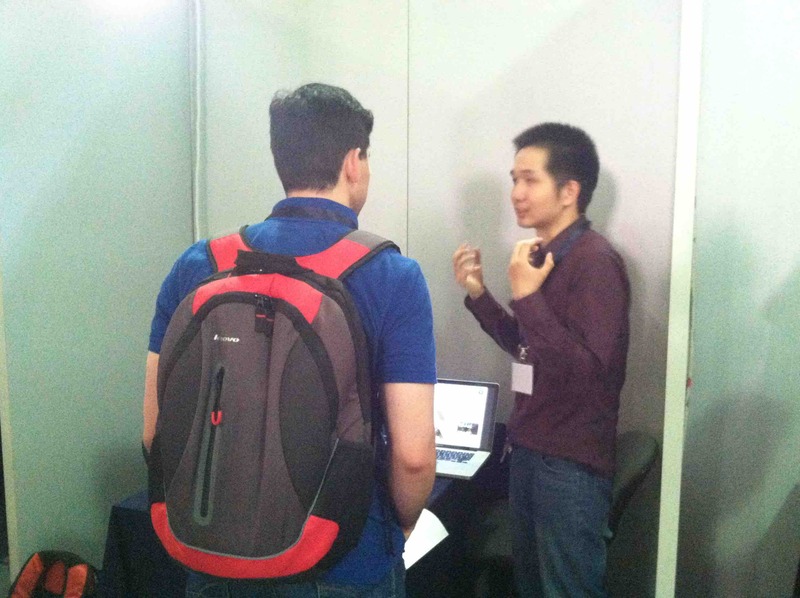 2015:Tianxing presenting and demonstrating HiLight to MobiSys attendees. Jun. 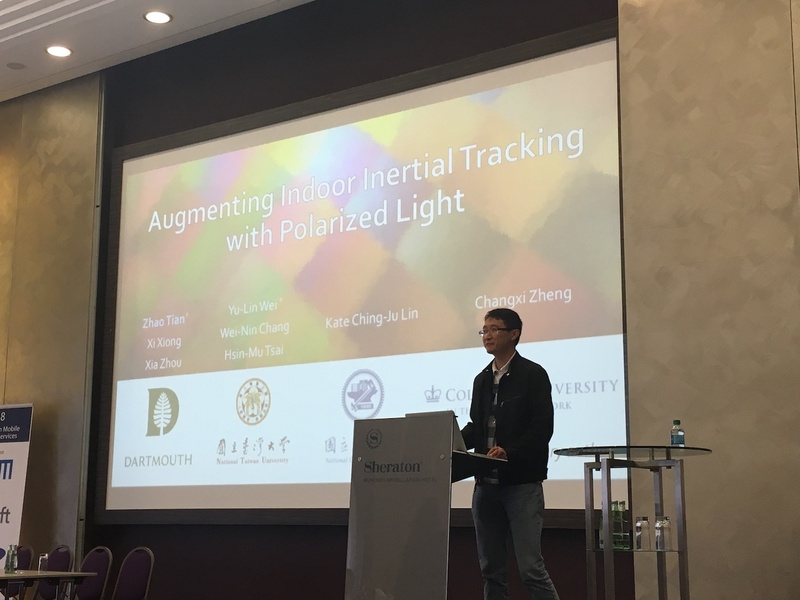 2015:Xia gave a seminar on the visible light sensing in the Center for Technology and Behavioral Health, Dartmouth Psychiatric Research Center of Department, Geisel School of Medicine at Dartmouth. 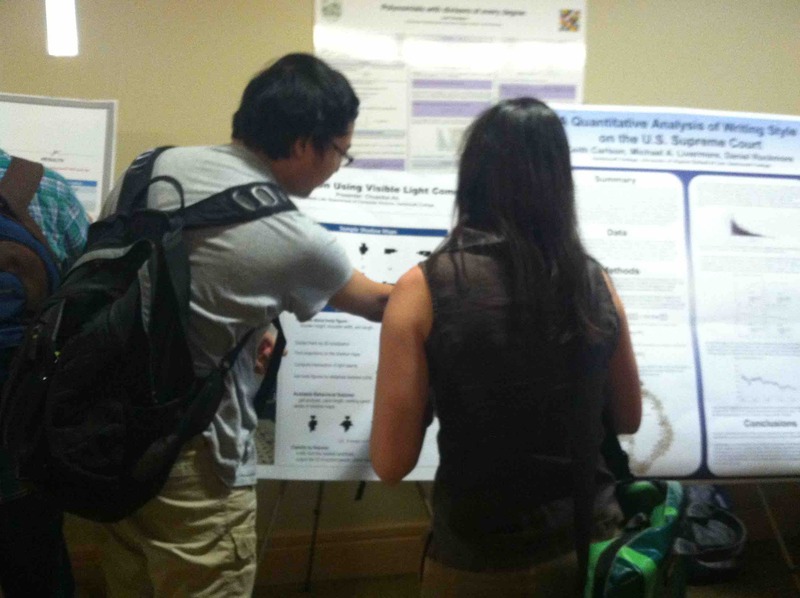 May 2015:DartNets students demonstrating and presenting research projects in the departmental research symposium open to all undergraduate and graduate students at Dartmouth. Apr. 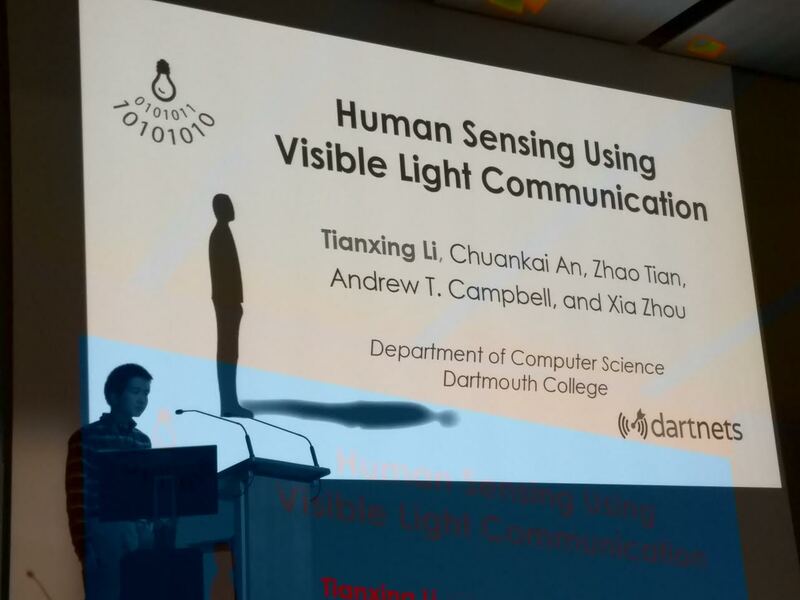 2015:Xia gave a CS departmental seminar on visible light communication and sensing in Tufts University. Apr. 2015:Enjoyed working as one of the judges for the first HackDarmouth event! Feb. 3, 2015:Another nice dinner meeting with Women in Computer Science (WiCS), getting to know group of 10 - 20 women undergraduates, chatting about my trajectory, and my take on choosing an academia vs industrial career. 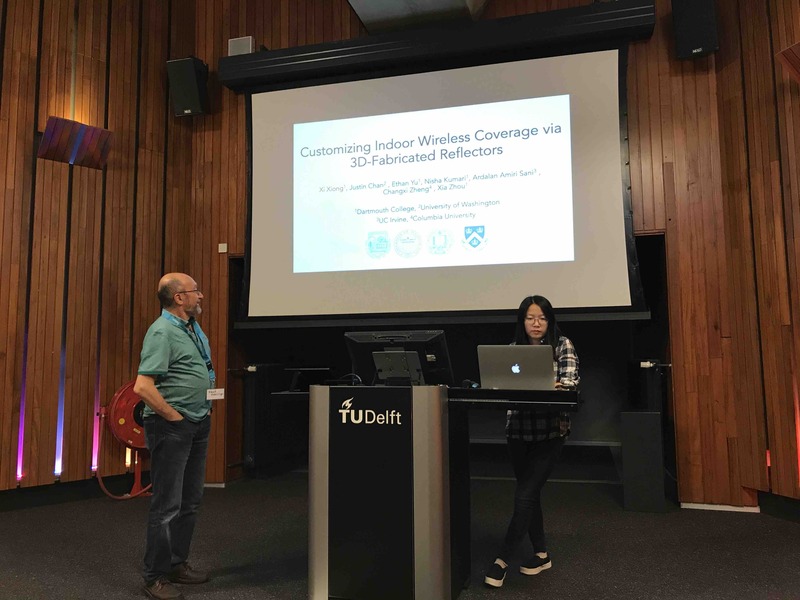 Dec. 2014:Excited to have Alma Wang '18, an undergraduate intern supported by the Dartmouth Women in Science Project (WISP), joining our visible light project for the upcoming winter and spring, and Peter Saisi, an undergraduate Neukom Scholar supported by the Neukom Institute Scholars Program, joining our project on spectrum monitoring in the winter! 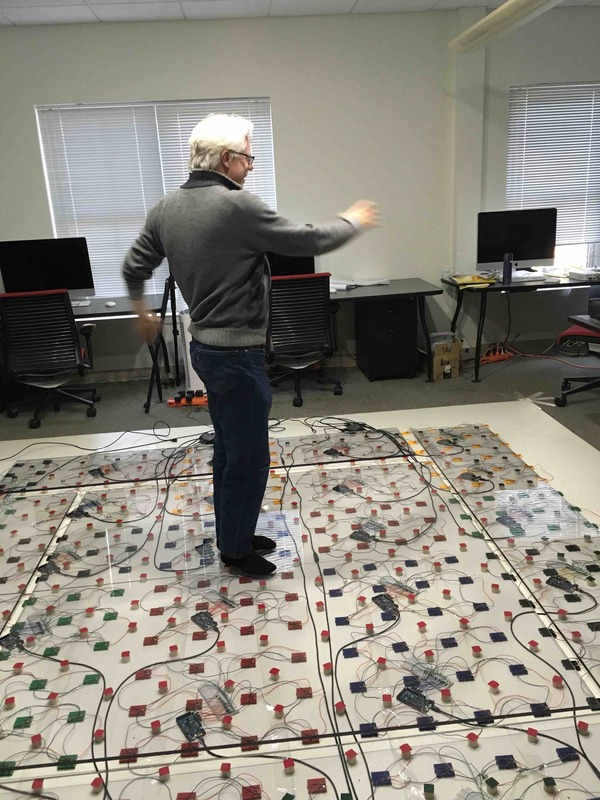 Nov. 2014:Xia gave departmental seminars on visible light communication and sensing to CS undergraduate students in Williams College (Nov. 5th) and Middlebury College (Nov. 7th). 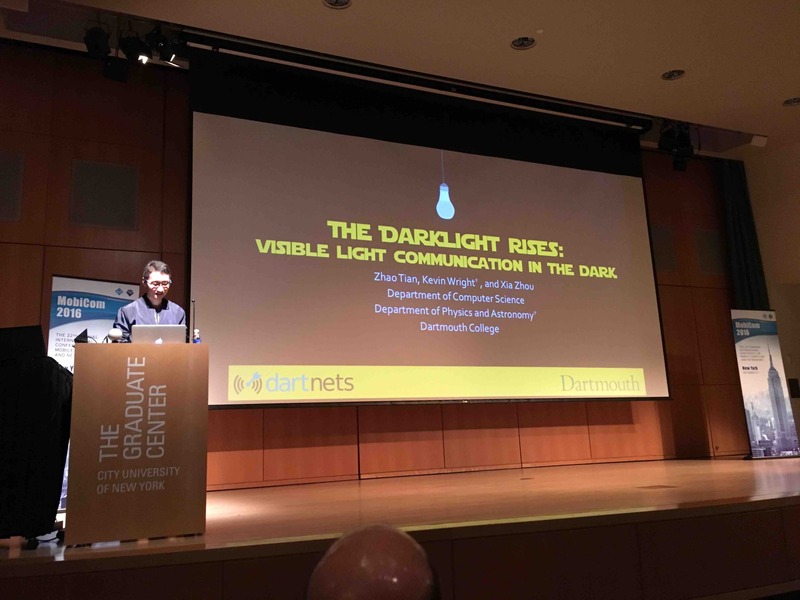 Oct. 24th, 2014:Xia gave a keynote on the 1st Annual New England Network and Systems Day about visible light communication systems. 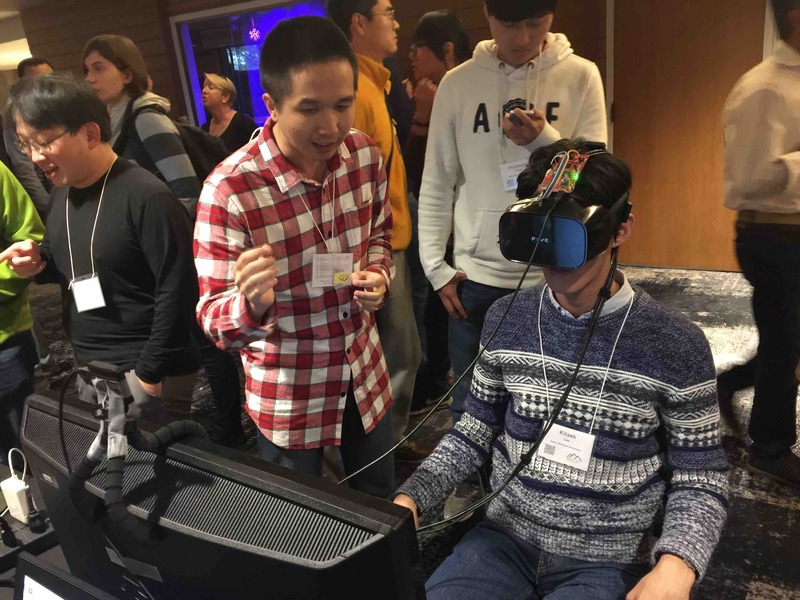 Attendees are students, faculty, and researchers from universities and research labs in the northeast region. 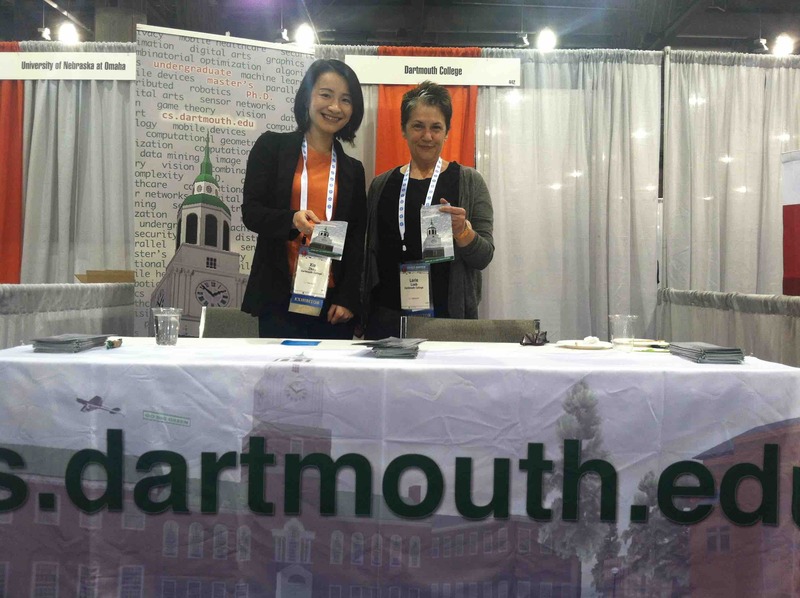 Oct. 2014:Enjoyed attending 2014 Grace Hopper Celebration of Women in Computing and chatting to prospective women students at the Dartmouth booth! 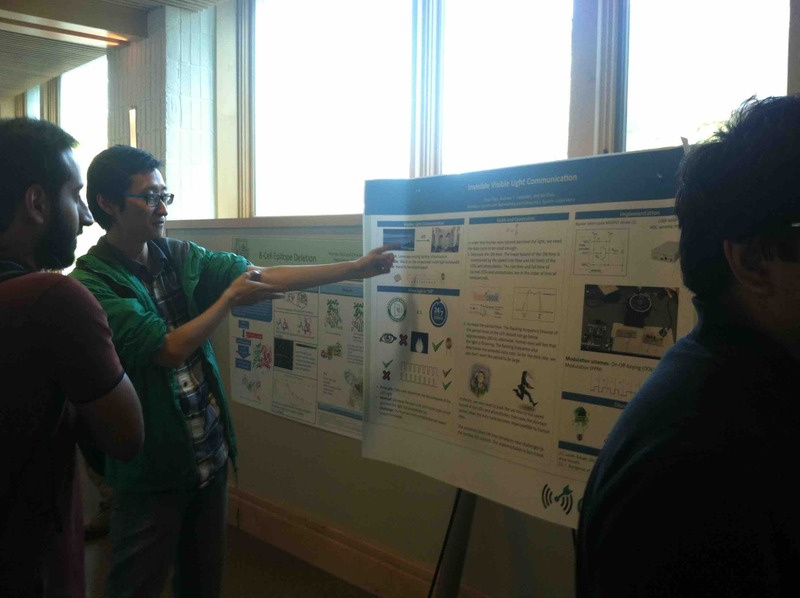 Sept. 28th, 2014:Xia participated in the 2014 Dartmouth Bound STEM Exploration Program, which is designed for prospective high-school students to gain insights on Dartmouth STEM programs, and delivered a tutorial on light communication to a group of 30 – 40 high-school students. Apr. 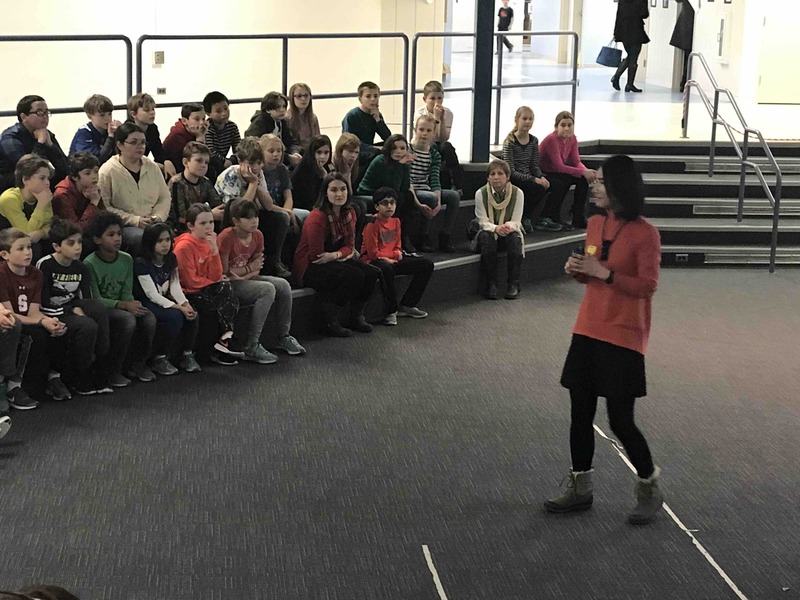 2014:Xia participated in the "Your Future in Science" workshop organized by the Neukom Institute for Computational Science. 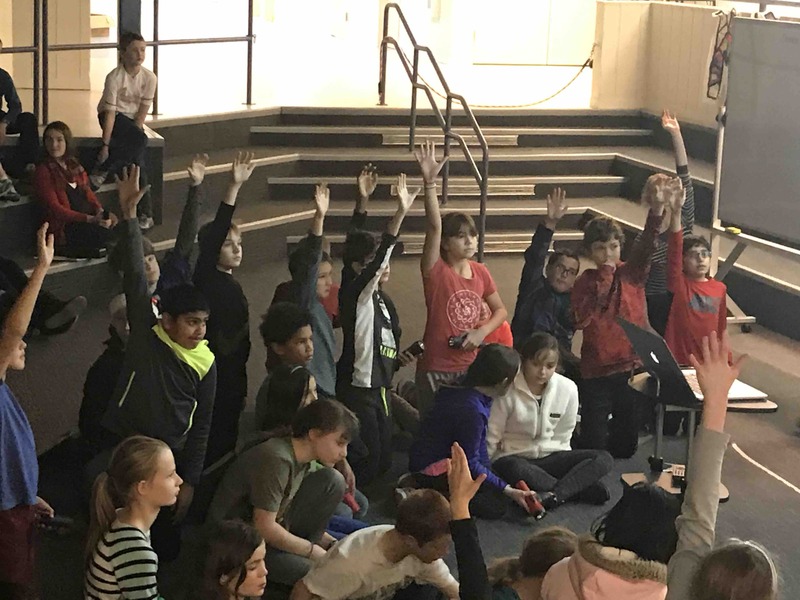 It is a one-day workshop for building career skills specific to the STEM fields. 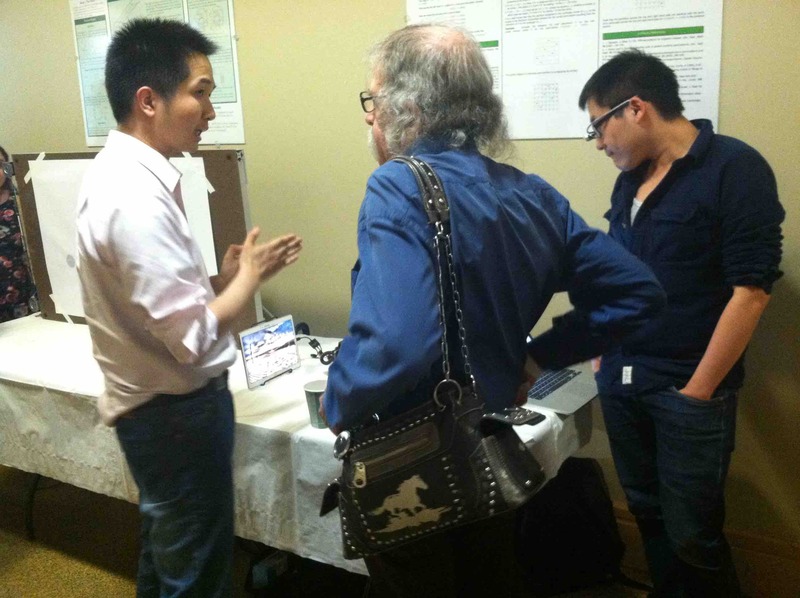 Xia joined the resource fair and served as a speed mentor by talking to both undergraduate and graduate students. 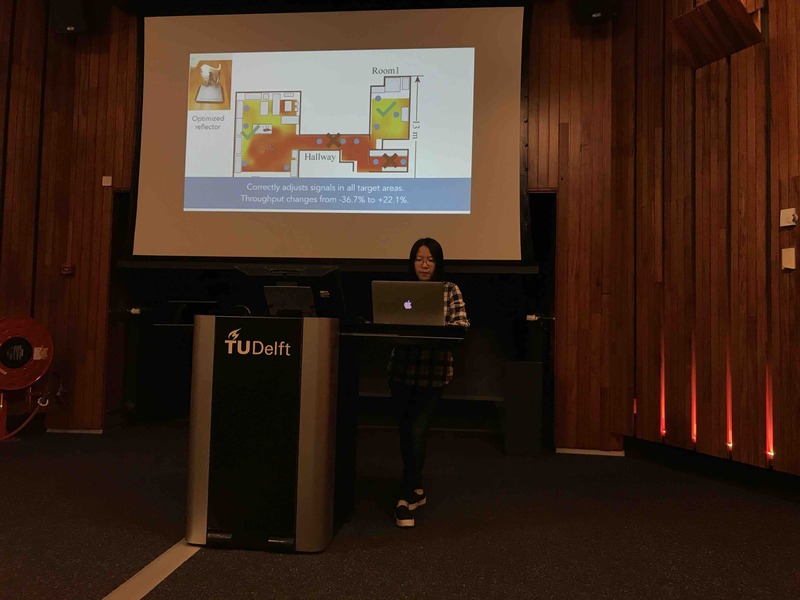 Jan. 28th, 2014:Great joining the dinner meeting organized by Women in Computer Science (WiCS), chatting to a group of 20+ women undergraduates about research, challenges women face in succeeding in computer science, and improvement that the department can do to attract more women to computer science. 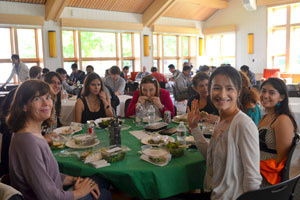 Oct. 8th, 2013:Had fun joining the Women in Computer Science (WiCS) lunch meeting, chatting to a group of 10 - 20 women undergraduates about research projects and campus life. 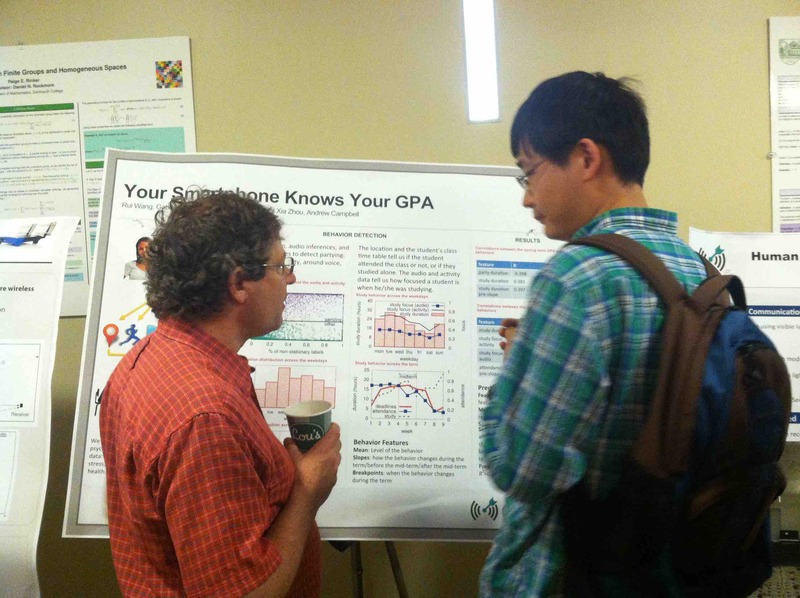 Sept. 21th, 2013:Enjoyed attending the Dartmouth Computer Science Research Symposium and giving a talk. Nice meeting a group of women students in CS!